The interlibrary loan system has been restored. If you have questions about a request, contact the Interlibrary Loan department at 303-458-4263. Our interlibrary loan system is currently unavailable due to a server crash at the vendor. This means that both our users and our staff do not have access to the system at this time. We will post more information as it becomes available. For the next installment of the RU Reading series, come celebrate the annual observance of Banned Books Week on Thursday, September 29th from 4:00 p.m. to 5:30 p.m. in the library’s fireplace lounge. Members of the Regis community will read from books that have been banned or challenged due to their content. We’ll discuss what makes something controversial and talk about the relationship between censorship, freedom of speech, and living in a free society. Snacks will be provided. 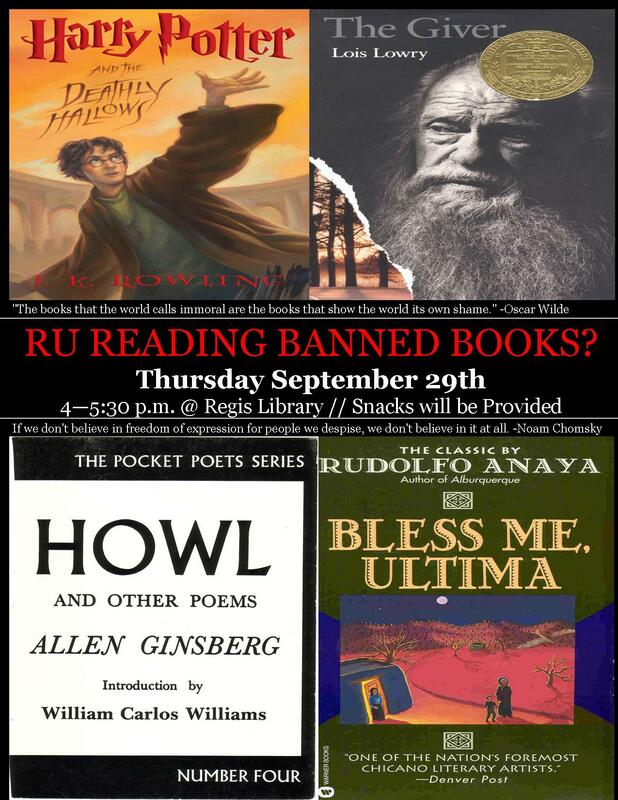 Posted in events | Comments Off on RU Reading Banned Books? Itching to read the latest novel? The Library now has 9 Kindles for circulation. Can’t find that book on the shelf? Have no fear! The library has a solution. Stop by the circulation desk and in an instant the book will be in your hands. The library now has Kindles to loan out and better yet the book request comes from you! Yes, that is right. You select the book and we will purchase it right then and there for you. Walk out of the library with the book in your hand. Some restrictions do apply. There is a new exhibit on display in the Hartman Gallery for the month of September. “Looking Back” is an exhibit of photographs by Robert A. Weinberg. The exhibit includes a photograph of Pope John Paul II and President Bill Clinton from their historic meeting at Regis University on August 12, 1993. The opening reception will be Thursday, September 8th at 4:00 p.m. in the fireplace lounge. Please stop by if you get the chance. You are currently browsing the Regis University Library news blog archives for September, 2011.